Tilt car trailers completely eliminate the need for ramps making them one of the most innovative and versatile trailers you can buy. 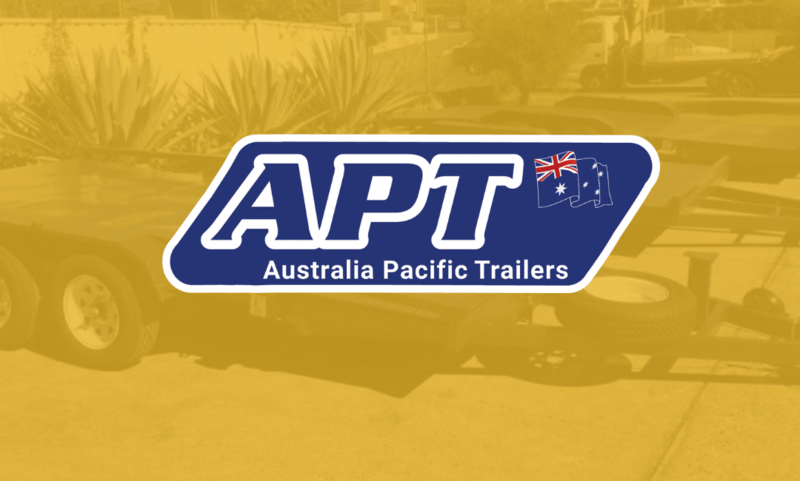 If you are looking for a custom tilt car trailer for your hauling needs, the team at Australian Pacific Trailers has the solution for you. We manufacture and sell custom built trailers from our innovative factory located on the Gold Coast. We construct all our trailers from only the highest quality metals sourced directly from Australian suppliers only. You can buy your trailer with confidence knowing that you are buying a 100% Australian product. We are a locally owned and operated trailer manufacturer that has been proudly serving the Gold Coast, Brisbane and the rest of Australia for all their trailer needs for over a decade. Convenience is the Name of the Game! Tilt car trailers are all about convenience and ease of use. Choosing a hydraulic tilt car trailer means you are eliminating the need for bulky ramps. Easy loading and unloading are at the heart of tilt car trailers. These trailers use hydraulic cylinders with reservoirs and proportioning valves to ensure easy tilt rates. Additionally, torsion axles along with smart deck designs combine to reduce load angles and to ensure that you can safely and easily load and unload your trailer. 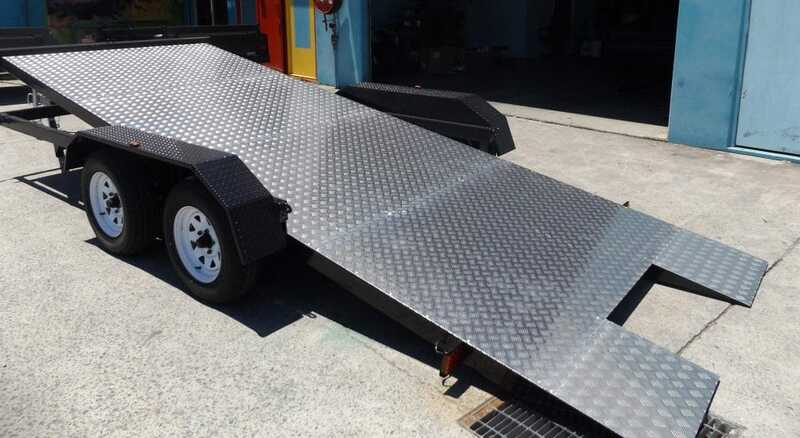 Whether you are looking for a tilt car trailer manufacturer to create a trailer for your classic car, or light duty work equipment, Australian Pacific Trailers has got you covered. Whether you need a light weight aluminium car trailer or a solid heavy-duty steel trailer, we’ve got you covered. Tilt car trailers can help you to avoid stress, injuries, and damage to your valuable asset by making loading and unloading your car a breeze. You can even use your tilt trailer without a tow vehicle being attached. Tilt car trailers eliminate the need for heavy, difficult to maneuver ramps that can cause damage to your car, trailer and yourself. Let’s face it, not all of us are in the right physical shape to be pulling and lifting on heavy ramps that can cause pulled muscles, smashed feet and pinched fingers. Save your body and mind stress by buying a hydraulic tilt car trailer from Australian Pacific Trailers. We have the ability to custom design the perfect tilt trailer for your needs. We don’t believe there is a one size fits all solution when it comes to trailers, so we offer the unique advantage of working closely with all our clients to design and manufacture the exact trailer they need. Not only can we create a tilt trailer that is uniquely your own, we can offer it to you at rock bottom pricing because you are buying direct from the manufacturer. Why pay the middle man when you can utilize Australian Pacific Trailer’s full, comprehensive service and save money? We offer the highest quality trailers at the best value you will find, guaranteed. We work hard to provide you with the perfect trailer for your needs at a price you can afford. Give us a call today (07) 5537 2992 to learn more about our custom tilt car trailer designs.